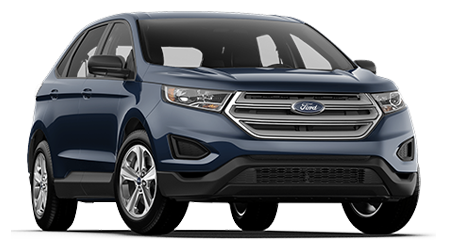 Imagine being able to tackle all of your driving needs with a midsize SUV that can provide you with a comfortable ride in a variety of driving situations. At Headquarter Nissan in Columbus, GA, motorists can explore all of the latest Nissans in stock including the 2016 Nissan Murano. Headquarter Nissan is one of Georgia's premier Nissan dealerships and has served Ft. Benning, Cataula, Lagrange, Phenix City and Auburn, GA for a number of years with a great selection of vehicles in stock. Stop by Headquarter Nissan at 1725 Whittlesey Rd. and explore the new Murano today. The midsize SUV segment has become one of the most popular in the market, so let's see how the 2016 Nissan Murano does against the Ford Edge. As midsize SUVs, the new Murano and Edge can provide you with an enjoyable ride on a regular basis. To meet all of your driving needs, the new Murano comes with a powerful powertrain. The Murano has a 3.5-L V-6 that produces 260 hp. In comparison, the Edge comes with a 2.0-L inline-four that generates 245 hp. With the Murano's more powerful engine, you will receive a more enjoyable ride. To provide you with the ability to enjoy driving the midsize SUV on a daily basis, the Murano comes with a lengthy list of interior features. The Murano comes with more interior features than the Edge. Interior features on the Murano include: automatic air conditioning, dual zone front air conditioning, cloth door trim insert, SiriusXM Satellite radio, 2 door curb lights and an illuminated glove box. To provide you with the ability to enjoy driving the Murano on a regular basis, the midsize SUV comes with a lengthy warranty. The midsize SUB is backed by a 3-yr./36,000-mile basic warranty, 5-yr./60,000-mile powertrain warranty, and an unlimited-mile corrosion perforation warranty. 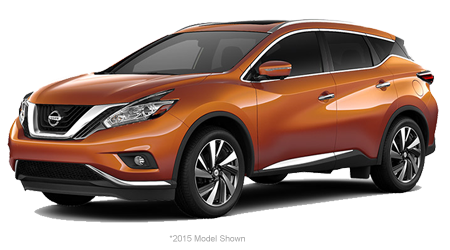 If you are searching for a midsize SUV that you can enjoy driving everyday, then check out the 2016 Nissan Murano. With the Murano's powerful powertrain, comfortable interior and extensive warranty, it has the upper hand over the Ford Edge. Come by Headquarter Nissan at 1725 Whittlesey Rd. and test drive the Murano today.